A large round mass in the subcapsular region of the 7th segment is hypodense on unenhanced images. Unenhanced scans show thin pseudocapsule by compression of adjacent liver parenchyma. 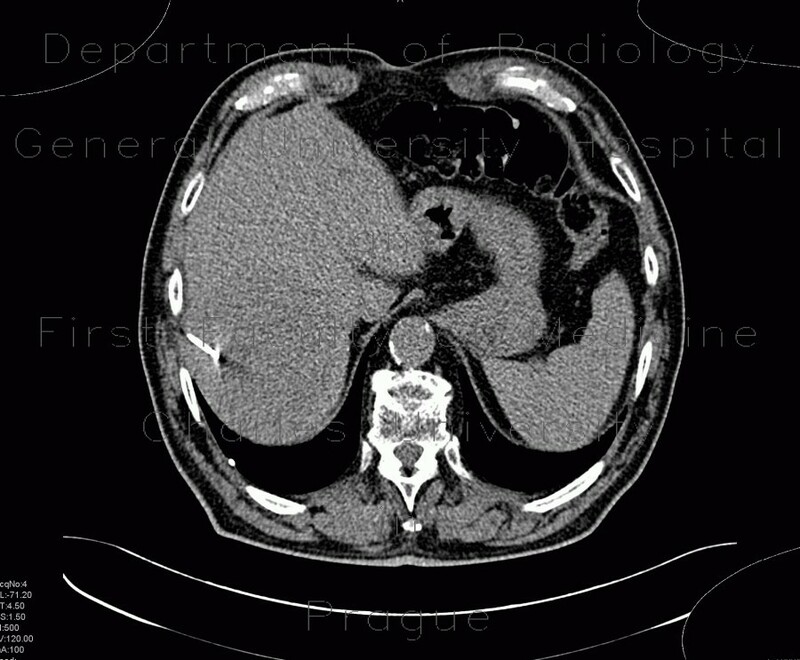 Contast enhanced CT show both enhancing areas and hypodense areas - there represent regressive changes - necrosis and bleeding. A biopsy, which was performed to verify the lesion, lead to bleeding into peritoneal cavity (hepatorenal and hepatic recess).